Download Annual Report as PDF here, and financial statements here. Members We have more than 30,000 members, who include writers, artists and publishers. Viscopy services Copyright Agency manages member services and artwork licensing for Viscopy’s 11,000 local members and international affiliates. International affiliations Copyright Agency and Viscopy are affiliated with more than 70 similar organisations in other countries. This enables use of Australian works in other countries, and use of foreign works in Australia. Copyright Tribunal The Copyright Tribunal can determine licensing and distribution arrangements that are not resolved by agreement (but determinations are rare). Code of Conduct Copyright Agency and Viscopy are signatories to the Code of Conduct for Australian Collecting Societies (copyright management organisations). The Copyright Act contains a number of ‘statutory licences’, which allow uses of content for certain purposes without permission but subject to fair compensation to content creators. A statutory licence for people with a print disability was also introduced in 1980, and Copyright Agency was appointed to manage the licence following amendments I 1990. Copyright Agency’s board decided not to seek compensation, but to provide some practical assistance with meeting the compliance requirements (principally, reporting ‘master copies’ of accessible format versions). The statutory licence provisions will be replaced by new exceptions for people with disabilities from 22 December 2017. The Copyright Tribunal has power to determine a range of matters associated with statutory licensing, including the compensation payable, monitoring of usage, and distribution of compensation to content creators. References to the Tribunal are, however, rare: matters associated with the operation of statutory licences (including compensation and monitoring) are usually resolved through negotiation and agreement. Rightsholders may have contractual obligations to share payments with others: e.g. publishers may be obliged to share payments with authors. In addition to its licensing business, Copyright Agency has also partnered with publishers to develop LearningField, an online subscription platform enabling use of textbook chapters from multiple publishers. See further 21. LearningField. Members have authorised 1.5% of licence fees to support cultural projects and creators’ professional development, which is managed through Copyright Agency’s Cultural Fund. See further 14. Cultural Fund. Each year’s distributions include some funds received before that year, depending on when the funds and data for allocation were received. See further 12. Payments to content creators. The statutory licence scheme for education in the Copyright Act allows educational use of text and images provided there is fair compensation to content creators. Copyright Agency was appointed by the Australian Attorney General in 1990 to manage the scheme. The schemes now apply to both not-for-profit and for-profit educational institutions. The amount of fair compensation can be determined by the Copyright Tribunal if it cannot be agreed. The last Tribunal determination on fair compensation from schools for text, images and print music was in 2002, and for universities in 1999. Most schools (all government schools, and most Catholic and independent schools) are represented by the Copyright Advisory Group (CAG) in negotiations for fair compensation. Most Technical and Further Education (TAFE) colleges (apart from those in Victoria) are also represented by CAG. Australian universities are represented by Universities Australia. Copyright Agency also negotiates individual agreements with more than 1,000 independent educational institutions. For total revenue from the education sector, see 4.1 Licence fees received by sector. According to the Australian Curriculum and Assessment Authority, the recurrent government funding for school education in 2014–15 was $53 billion: $14,300 per student. Compensation to content creators under the statutory licence is less than 0.12% of this funding. Of the $25.8 billion of expenditure in universities in 2014, the copyright fee of $30.7m was 0.12%. As at 30 June 2017, we had 1,017 individual licences with education institutions, 78 of which are newly licensed institutions (49 commercial institutions, and 29 non-commercial institutions). About 60% of the individually licensed institutions are not-for-profit, and the remainder for-profit. The institutions included pre-schools, schools and colleges offering higher education degrees, as well as Vocational Education and Training (VET) level diplomas and certificates 1–4.Some offer specialist education, such as theological studies, business studies and English language training. The for-profit institutions are mostly very large private colleges and registered training organisations (RTOs) offering tertiary education. The not-for-profit institutions include training arms of government bodies, private or community kindergartens, community colleges, neighbourhood houses, smaller RTOs and charitable RTOs. Each year, a small sample of schools and universities participate in surveys of usage conducted by an independent research company. The design of each survey is agreed with CAG (for schools) and UA (for universities), and those organisations participate in training of survey participants. By agreement with education sector representatives, survey participants record some uses made outside the statutory licence. Uses made outside the statutory licence are identified and excluded when the usage data is processed by Copyright Agency, in accordance with protocols agreed with education sector representatives. to provide information about content used, to assist with distribution of fair compensation and licence fees. The design of surveys is agreed with licensee representatives. This includes the sample design and the survey duration. The table shows the number of records from surveys in schools and universities that we processed in 2016–17. In most cases, these survey records comprise a cover sheet with information about the copying, and a copy of the content copied. The table gives an indication of the volume of processing, rather than a comprehensive report on all processing in 2016–17. The processing includes research to determine whether or not a use was made in reliance on the statutory licence (e.g. a use that has been directly licensed by a copyright owner is excluded). The table includes records for uses made outside the statutory licence, and therefore excluded from estimates of the overall extent of reliance on the statutory licence, and from distribution. Given the need to confine costs to a reasonable level, the researchers do not identify every rightsholder for every survey record. They do, however, identify rightsholders for 90–95% of survey records (92% of the survey records from schools). This includes records on which a teacher has marked ‘source unknown’ on the cover sheet. At the end of processing, about 10% of the total pages are not linked to a rightsholder. The other survey records ‘electronic use’ (e.g. uploading to a server, downloading, emailing) in 100 schools each year, for a four week period. In 2016, there were 9,414 schools in Australia, with nearly 3.8 million students: 65.4% in government schools, 20.2% in Catholic schools and 14.4% in independent schools. In total, there were 83,364 students in those schools. In addition, a survey of electronic use was conducted in 99 schools, with 4,132 registered participants. The schools surveyed for electronic use copied or shared 2.19 million ‘pages’ of content. overall discounts in the flat fees, to reflect the class of excluded use. content published by Commonwealth departments and agencies. use of content that may lack sufficient ‘originality’ to be protected by copyright. The statutory licence does not apply to government-related entities that are not ‘the Crown’, or to local governments, but Copyright Agency offers ‘voluntary’ licences for them. regular meetings and communication with the representatives from each government responsible for management of the licence arrangements. Members can appoint us as their agent to include their works in various licence schemes we offer. The licences also cover the works of rightholders represented by our international affiliates. Licensees include organisations in the corporate and not-for-profit sectors. We have a special licence for quasi-government bodies that may not be able to rely on the statutory licence for governments because they are not part of the Commonwealth or a State or Territory government. The licence operates in a similar way to the government statutory licence, but does not allow the copying of entire works that are available for purchase (only a portion may be copied). For content not yet covered by the online facility, we offer a manual clearance service. Licensees make a request by email, and we respond within 48 hours. We liaise with the rightsholder, who decides whether or not to license and sets a price, and manage the licence arrangements, invoicing and payment. The Commercial Licensing team engages with current and potential licensees in a variety of ways. In 2016–17, they conducted 55 training sessions with a range of organisations around Australia. Copyright Agency began managing Viscopy’s services on 2 July 2012, pursuant to an agreement approved by the Australian Consumer and Competition Authority. The services include managing Viscopy’s relationships with its members, international affiliates and licensees. Viscopy represents more than 13,000 artists, artists’ estates and beneficiaries. Through its international affiliations, Viscopy also represents more than 40,000 foreign artists. Viscopy’s major licensees are auction houses and public galleries. Most of Viscopy’s licences are pay-per-use (rather than ‘all of repertoire’). Viscopy also offer ‘blanket’ licences for select uses. Blanket licences cover agreed uses for all Viscopy members, in advance of the use. The uses are reported after the event. This type of licence is used in conjunction with long-term licence agreements and to ease administration of high volume uses. In June 2017, Viscopy and Copyright Agency announced that they had agreed in principle to begin the formal arrangements to merge. The merger has since been approved by Viscopy members, and Copyright Agency members have approved changes to Copyright Agency’s Constitution to create an additional board position for a visual artist, and an additional membership class for visual artists. The merger has also been approved by the Australian Securities and Investment Commission (ASIC) and the Supreme Court, with effect from 1 December 2017. The scheme requires payment of a 5% royalty of the sale price on certain resales of artworks by Australian artists. It also requires the reporting of all resales with a sales value of $1,000 or more to Copyright Agency, with sufficient information to determine if a royalty is payable. A royalty is not payable if the seller acquired the work before the scheme commenced. At 30 June 2017, the scheme had generated over $5.27 million in royalties for 1,440 artists from more than 14,800 resales. The artists who received royalties were at different stages of their careers and from different parts of Australia, including urban and remote areas. 63% of the artists receiving royalties Aboriginal and Torres Strait Islander artists, who received 38% of the royalties. 38% of recipients live in the Northern Territory and 16% in South Australia and Western Australia (mostly in regional and remote areas). The number of artists benefitting from the scheme continues to increase, with 240 receiving a royalty for the first time in 2016–17. delivery of the 2016–17 Indigenous Education Program including information sessions and workshops on resale royalty at key events reaching artists, art centre managers and workers, such as the Desart Art Centre Conference and Artform – artist forum in Perth. information sessions to artists via the professional development component of their tertiary education course and artist studio talks. information provision to artists and art market professionals via our own email alerts and newsletters continued through our visual arts eNewsletter, CANVAS – Copyright Agency and Viscopy News for Visual Artists. Canvas is performing extremely effectively with a distribution of over 6,000 and an open rate of 38%, which is double the industry standard. Copyright Agency acquires data for distribution from a variety of sources, including surveys of usage by licensees and data that indicates content available to licensees. There are a series of processes involved in allocating payments to content creators based on the best data available at a reasonable cost within the relevant time period. These include analysing the available data, applying relative values for different types of content and uses, and identifying and contacting content creators. The processes are sometimes complex, accounting for the time between receipt of licence fees, allocation, and payment. In some cases, there is more than one person entitled to receive an allocated amount: for example and author and a publisher, or an author and a co-author. In these situations, we pay one person on their undertaking to share the payment with any others entitled ment to a share. The following table shows the sources of payments distributed in 2016–17. Our payments reach rightsholders in two ways: directly (from us) and indirectly (through a member or another collecting society). Where there is more than one rightsholder for a book (e.g. publisher and author), we can pay each rightsholder directly where we have information about the payment shares they have agreed between or among them. Otherwise, we pay one rightsholder on their undertaking to on-pay any amounts due to other rightsholders. The following shows the amounts that that were to be shared in 2016–17. The following tables are based on amounts allocated in 2016–17 of $10 or more. Some allocations are paid in a subsequent financial year: for example, because payment is dependent on a recipient’s confirmation of that they are a rightsholder for the relevant content. The distribution of licence fees compensation from governments in 2016–17 was (apart from that from survey plans) mostly based on data from various sources indicating content that was available to governments to use during the licence period (rather than information about actual use). We used different data sources for different types of content (such as books, journals, newspapers and images), in accordance with the best data available to us at the time at a reasonable cost. The following table shows the number of unique recipients from distributions of licence fees for government sale of survey plans, state by state. The following table summarises the distribution of ‘blanket’ licence fees from corporations and quasi-government organisations in 2017. The distribution was based on data indicating content available for copying by licensees. The data used included books and journals lent to, and copied for, corporations by libraries, and digital press clippings supplied to corporations. indirectly, for example via a publisher, a co-author, an agent or another collecting society. In addition, many creators are employees of Copyright Agency members (for example, they are staff writers or illustrators), so that payments by Copyright Agency to their employers contribute to their salaries. Based on information provided by the organisations that received about 80% of the payments to organisations (other than foreign collecting societies) in 2015–16, we estimate that individual (non-staff) creators receive about 39% of licence fees distributed. The basis of that estimate is set out in our annual report for 2015–16. We publish our distribution schedule on our website, with information about how each distribution was calculated, including the source or sources of data used for the distribution and the licence period. The following is a list of distributions processed in 2016–17. In 2016–17, $2.06 million was approved through the Cultural Fund for 114 projects, 23 applicants for the Career Fund, and five Copyright Agency Fellowships. Some of the funds approved are for release in subsequent years. The following projects were approved for funding in 2016–17. These, and projects supported in previous years, are described in more detail on our website. In some cases, the funding was approved for a project spanning up to three years. The following applicants were successful for Career Fund support in 2016–17. Rochelle Haley $2,000 Structured workshops with researcher Sang-won Leigh at Fluid Interfaces Group MIT Media Lab, Boston USA. Sally Morgan $20,000 To write a novel in verse. At any given time, we are holding money in trust for content creators. The balance of money in the trust fund changes significantly over the course of a year, increasing with the receipt of licence fees, and decreasing with the distributions of licence fees. Unpaid allocations from 2012–13 were not rolled over in 2016–17 due to our system upgrade program. Those allocations will be rolled over in December 2017. The following provides a breakdown of unpaid allocations from 2012–13 to be rolled over in December 2017. There will be no funds rolled over from government licence fees in December 2017, as fees from that sector were not distributed in 2012–13 due to insufficient data. The fees were distributed in subsequent years. In June 2013, the Board considered the issues which would arise in the event of a sudden and material decrease of revenue following a substantial change to the legislative structure or the unremunerated exceptions in the Copyright Act 1968. The consideration was prompted by recommendations by the Australian Law Reform Commission for changes to copyright legislation, and the consequences of similar changes in Canada. The Board resolved that in order to safeguard and manage the rights of members, including but not confined to taking such necessary actions in litigation, communications, research and advocacy, it would establish a Future Fund to provide adequate reserves to resource such activity to the extent required consistent with its prudent judgement. The following shows the amounts reserved for the fund, and paid from it, since then. The balance at 30 June 2017 was $15.11m. There are no further amounts being reserved for the fund. The Board will periodically review the need for the fund, and any amounts no longer required for safeguarding members’ interests will be returned to members. The Board resolved that the fund be retained primarily for operating costs in the event of significantly changed circumstances, and that a small proportion could be allocated to long term projects approved by the Board. These are projects that promote awareness, understanding and discussion of the copyright system and proposed changes to it that affect Copyright Agency’s members. In 2016–17, around $160,000 was spent from the fund for these purposes. This included representing the interests of Copyright Agency members to government, research on community attitudes to copyright, member information events on proposed changes to copyright legislation and a tool kit to enable members to make their views known to Members of Parliament. The Indemnity Fund comprises $445,871.47 paid by licensees under voluntary licence agreements as an indemnity against copyright infringement actions for certain uses of content not covered by the licences, and $2.5m for other payments to rightsholders arising from licences managed by Copyright Agency. For example, Copyright Agency’s Distribution Policy provides for an ex gratia payment to a rightsholder who can establish that their work was substantially copied under a licence, but who received little or no payment for that use (for example, because the use occurred in a school that did not participate in the surveys of copying that were used for distribution). The chart below shows the payments in and out of the trust fund for licence fees for the school and university sectors respectively. The starting balance for universities includes some licence fees paid in the previous financial year for the 206–17 financial year. At 30 June 2017, there remained $9.4m in unpaid allocations from licence fees received from schools and universities in 2016–17. Most of this was paid by 31 July 2017. The charts below show the time between receipt and distribution of licence fees for the school sector for the 2017 calendar year, and for the university sector for the 2016–17 financial year. There was one major distribution of licence fees from schools (in June 2017) and two for universities (in December 2016 and June 2017). Our administrative costs are met from licence fees. For most licence schemes, we make a deduction for anticipated operating costs when licence fees are received, rather than a fixed commission. Deductions therefore vary from year to year, and from licence scheme to licence scheme. Copyright Agency’s Constitution also allows a deduction of up to 1.5% of revenue for support of cultural projects (the Cultural Fund). For the past five years, total operating costs have been around 14% of total revenue. The methodology applied in this year, to both the ratio for this year and to the ratios for previous years for comparison, is slightly different to that applied in previous years. It is aligned to the accounting standards for the auditor’s financial report rather than the management accounts. The different methodology has no effect on cash flow, or on the deductions for operating costs from licence fees (which are listed at 11.11). As at 30 June 2017, the median remuneration (including superannuation) for all staff was $100,750. In 2016–17 there were three classes of membership: ‘author’, ‘publisher’ and ‘collecting society’. From 1 December 2017, there is an additional class of member – artist – as a result of the merger with Viscopy. People can choose to be a member solely for entitlement to any statutory licence compensation allocated for use of their works, or they can choose to also authorise Copyright Agency to license reproduction and communication of their works. For a number of reasons, we only make payments to members, but our systems enable payment to new members for past usage recorded in surveys of usage. And members who receive payments share them with others, including non-members. For example, many authors receive Copyright Agency payments indirectly via their publisher rather directly from Copyright Agency. 80 applications were solicited by us, and 443 were unsolicited. Many rightsholders are not direct members of Copyright Agency, but are represented by (and receive payments from) our members. For example, there are more than 1,800 writers represented by literary agents who are members. Thousands of writers and illustrators also receive payments via their publishers, rather than directly as members. The non-statutory licences offered by Copyright Agency and Viscopy are dependent upon the authorisation given by members to license their content, and the authorisation of foreign content creators through their collective management organisations (CMOs). Copyright Agency and Viscopy therefore have agreements with foreign CMOs that enable us to include foreign works in Australian licences, and foreign CMOs to include Australian works in their licences. The maintenance of those agreements requires active management, affected by a range of external developments including changes in regulatory frameworks and business practices. Series of meetings with partner CMOs including Copyright Clearance Center (CCC, US), CLA (Copyright Licensing Agency, UK), Korea Reproduction and Transmission Rights Association (KORRA), Korean Society of Authors (KOSA), Perkumpulan Reproduksi Cipta Indonesia (PRCI, Indonesia), Vietnam Reproduction Rights Organisation (VIETRRO, Vietnam), Japan Reproduction Rights Center (JRRC, Japan) and Japan Academic Association for Copyright Clearance (JAC) to coincide with IFRRO Asia-Pacific Committee (APC) meetings. Series of meetings with partner CMOs including CCC, CLA, Newspaper Licensing Agency (NLA, UK), Publishers Licensing Society (PLS, UK), Stichting Reprorecht (The Netherlands), JAC, Authors Coalition of America (ACA, US), ProLitteris (Switzerland), Copyright Licensing and Administration Society of Singapore (CLASS, Singapore), Pictoright (Netherlands), and BildKunst (Germany) to coincide with IFRRO AGM. The major development was the Productivity Commission’s final report on its inquiry into intellectual property arrangements, released in December 2016. The Government’s response to the report was released in August 2017. Another important development was the passage of the Copyright (Disabilities and Other Measures Act) in June 2017. The amendments simplified the statutory licence for education, updated the exceptions for people with disabilities, updated the provisions that enable libraries and other cultural institutions to make ‘preservation’ copies of items in their collection, and introduced a fixed term of copyright for unpublished works. Most amendments come into effect on 22 December 2017. The amendments introducing a fixed term for unpublished works come into effect on 1 January 2019. The amendments were passed as ‘non-controversial’. The amendments to the education statutory licence implemented a joint proposal from Copyright Agency, Screenrights, Copyright Advisory Group (representing the school sector) and Universities Australia. Internationally, copyright was under review in various countries, including by the US House Judiciary Committee, and by the European Commission. submission to the Singapore Government on proposed changes to Singapore’s copyright regime (October 2016). Copyright Agency’s stakeholders include content creators, content users and the Australian government. Content creator stakeholders include members of Copyright Agency and of Viscopy, potential members, professional organisations for content creators (such as Australian Society of Authors, Australian Publishers Association, Media Entertainment and Arts Alliance, National Association for the Visual Arts, and Australian Institute for Professional Photography), and international affiliates. Content user stakeholders include people who use content under licences (e.g. teachers, government employees), professional associations for those users (such as teacher associations and unions), and people who negotiate licence fees and other arrangements for their sector (such as Copyright Advisory Group and Universities Australia). There are more than 80 institutions participating in the Master Copy Catalogue, and there are now more than 14,000 accessible format master copies made under the statutory licence, recorded in the catalogue, available to Australian institutions assisting people with a disability. The statutory licences will be replaced by a new regulatory framework in December 2017, and Copyright Agency will no longer have a formal role in managing the scheme (principally accepting notifications of ‘master copies’). We will, however, maintain the Master Copy Catalogue as long as it remains a useful resource. We have been working with representatives from libraries and cultural institutions to develop collaborative approaches to resolving some copyright-related issues. These include an agreed framework for digitisation of ‘orphan works’ and joint proposal on simplifying the library exceptions in the Copyright Act. LearningField is an online platform providing access to resources linked to the Australian curriculum and state curriculums. It is an ‘all you can eat’ annual subscription, allowing use of all LearningField resources: more than 14,500 chapters from 1,300 textbooks, as well as interactive content. Reading Australia (readingaustralia.com.au) is a website to assist teaching and reading of Australian literature in Australian schools and universities. It has been developed in partnership with the Australian Association for the Teaching of English, the Primary English Teaching Association Australia, the Australian Literacy Educators Association and the Association for the Study of Australian Literature, with funding from Copyright Agency’s Cultural Fund. The website initially listed 200 books chosen by a panel from the Australian Society of Authors to celebrate the work of leading Australian writers and illustrators. There are now a further 115 titles, covering all genres and periods of Australia’s literary history. There are 139 resources in total aimed at Foundation to Senior Secondary. The educational resources are designed to help teachers navigate Australian texts within the framework of the Australian Curriculum. The secondary-level titles are also accompanied by essays written by eminent authors, academics and critics. The website also has video interviews with authors, including 10 created in partnership with ABC Splash. Twenty titles have had AustLit trails created for them. These trails are curated collections of information covering the title’s context, themes, and more, as well as links to academic research and publications. 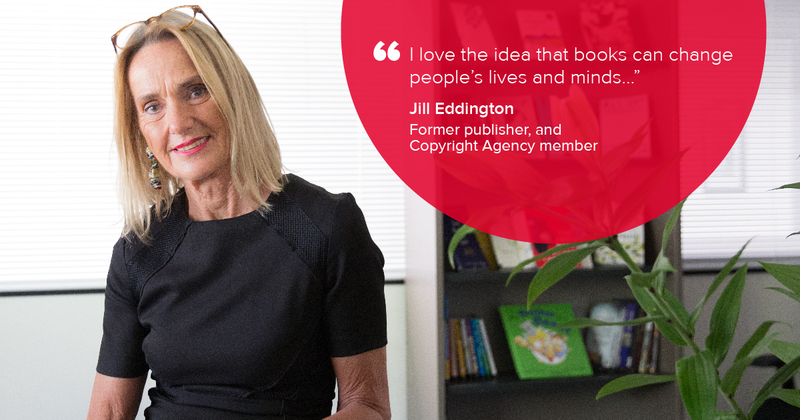 Copyright Agency and Viscopy are signatories to the Collecting Societies Code of Conduct. Matters covered in the Code include governance and accountability, education and awareness, and complaints and disputes. There are also statutory licence schemes for people with disabilities (visual impairment and intellectual disability), which Copyright Agency is appointed by the Attorney General to manage. Copyright Agency’s board has decided not to seek any compensation under these schemes, and the government intends to replace the licence with an exception. Principally Screenrights (broadcast content), APRA|AMCOS (music compositions), and PPCA (recorded music). Copyright Act 1968 (Cth), available at comlaw.gov.au. The legislation has been amended many times since 1968. Significant amendments include the ‘Digital Agenda’ amendments of 2000, and the introduction of ‘moral rights’ in 2000. The primary copyright treaty, the Berne Convention, provides that parties are not required to have an artists’ resale right, but that if they do they must provide reciprocity to nationals of other countries that have the right. In Australia, the right is granted by the Resale Royalty Right for Visual Artists Act 2009(Cth), overseen by the Minister for the Arts. One of the key arguments for the right is that it benefits ‘fine artists’ who receive fewer benefits from the copyright system than other creators (such as writers and composers) whose work is primarily created for copying and communication rather than the value of the ‘original’ version. Copyright Agency was ‘declared’ by the Attorney General in 1990 as the collecting society for the statutory licences for education and people with disabilities in Part VB of the Copyright Act, and by the Copyright Tribunal in 1998 as the collecting society for government copies of ‘works’ and ‘published editions’. Some other countries have provision for ‘extended collective licensing’, which is similar to statutory licensing but allows a copyright owner to ‘opt out’. This form of licensing originated in Scandinavian countries, and has recently been introduced in the UK. It is also under consideration in the US. The table represents licence fees payable for the 2016–17 financial year, rather than received in that period. It does not include the $686,798 of other income referred to in the audited accounts in Note 2: Revenue (page 22).That amount includes fees paid by Viscopy under the services agreement between Viscopy and Copyright Agency. The licence fees from states and territories recognised for 2016–17 reflects adjustments for licence fees expected for previous years that have not been received in full and are now note expected to be received. There are also arrangements for use of music in schools and universities through the music collecting societies, APRA|AMCOS and PPCA. Currently AMR. There are different arrangements with the TAFE sector and individually licensed institutions. Recent distributions of licence fees from those sectors have largely been based on ‘indicative’ rather than survey data. This is partly in recognition that the teachers completing the surveys would have difficulty determining whether a particular use is made in reliance on the statutory licence or not. Uses not made in reliance on the statutory licence are identified by Copyright Agency’s researchers, following protocols agreed with education sector representatives. This does not necessarily mean that the work used is a ‘orphan work’: it means that insufficient information has been provided to enable us to identify its copyright owner. copyright.com.au/about-us/what-we-do/collecting-and-distributing-royalties/data-processing-protocols. As noted in the DPPs, the researchers’ tasks include to ‘complete (add missing information such as author, publisher full title, ISBN etc.) information provided on the survey records by the survey participants’. This represents about 10% of the ‘total multiplied pages’. In accordance with protocols agreed with the sector: copyright.com.au/about-us/what-we-do/collecting-and-distributing-royalties/data-processing-protocols. For example, content covered by a Creative Commons licence, a licence that allows free use by schools, or a licence (such as a subscription licence) that allows the use. A ‘page’ is a ‘unit’ of content that has been copied or shared, such as a page from a book, an image, or a page printed from a website. The legislation does not enable the Tribunal to ‘declare’ Copyright Agency for communication, only for ‘government copies’. Copyright Agency has asked the Australian Law Reform Commission to recommend amendment to the legislation to enable declaration for communication. Copyright Agency made an application to the Copyright Tribunal in November 2017 for determination of equitable remuneration payable by New South Wales. Includes sources such as information sheets, content from CD-ROMs, posters, previous years’ exam papers, student theses from other universities. Such as authors with a contractual entitlement. In accordance with notified payment shares (information we have received from members about contractual arrangements for sharing Copyright Agency payments). We make payment an allocation or allocations to a member total $10 or more. Allocations under $10 are paid if, combined with other allocations, the total is $10 or more. See further the information sheet for this distribution on the website. The amount for images was distributed separately, together with similar amounts set aside for images from other sources of licence fees. A small proportion of the amounts allocated in 2016–17 was paid in 2017–18, mostly because payment was contingent upon recipients confirming entitlement to receive an allocation. Similarly, some payments in 2016–17 were from distributions processed in 2015–16. This includes $1.49m allocated in 2012–13 that will be ‘rolled over’ in December 2017: see further 13.5. In accordance with the Copyright Act, the Copyright Regulations, the Attorney-General’s Guidelines and Copyright Agency’s Constitution. Deductions are not made from artists’ resale royalties or LearningField subscriptions. Includes fee paid by Viscopy under services agreement with Copyright Agency. Includes expenses associated with Viscopy services agreement. 1,396 are also members of Viscopy. In 2016-17 Sarah Tran Chaired the Asia Pacific Committee. Adam Suckling and Sarah Tran also participated in the Legal Issues Forum, and were members of the Newspapers and Periodicals Working Group and the Visual Arts Working Group.